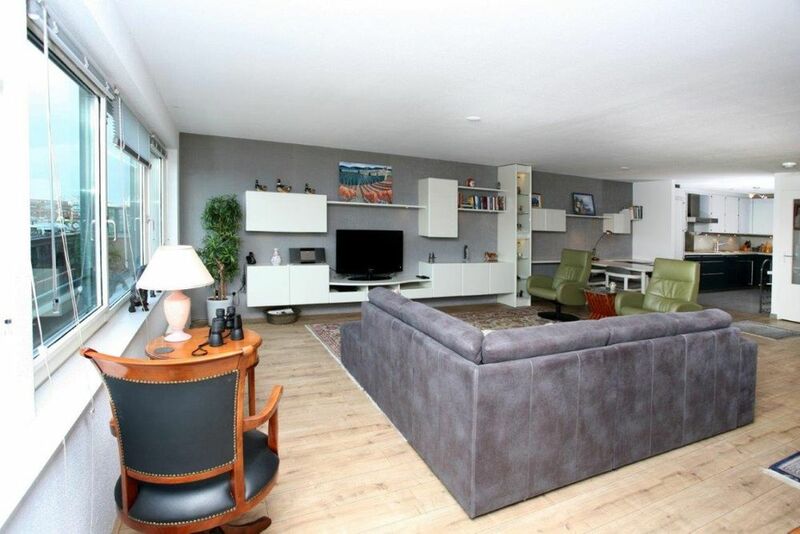 Superb two bedroom semi-furnished apartment (124m2) in the harbour/ Statenkwartier area of Scheveningen on a walking distance of the beach and the shopping area "Frederik Hendriklaan". Good public transport connections (tram 10,11,17 and bus 23). Lay-out: secured main entrance, lift or stairs to second floor, entrance apartment, hall with cupboard and separate toilet, spacious living/dining room (60 m 2), luxurious open Siematic kitchen will all appliances, two spacious bedrooms and a luxurious bathroom with spacious shower, washbasin and toilet. Private parking and a storage included. This beautiful apartment, built in 2003, is of very high quality. There is a beautiful dune garden which is only accessible for the occupants. THE APARTMENT IS NOT FURNISHED! ! Zoek je een geschikte school in de buurt van de Dr. Lelykade in Den Haag?